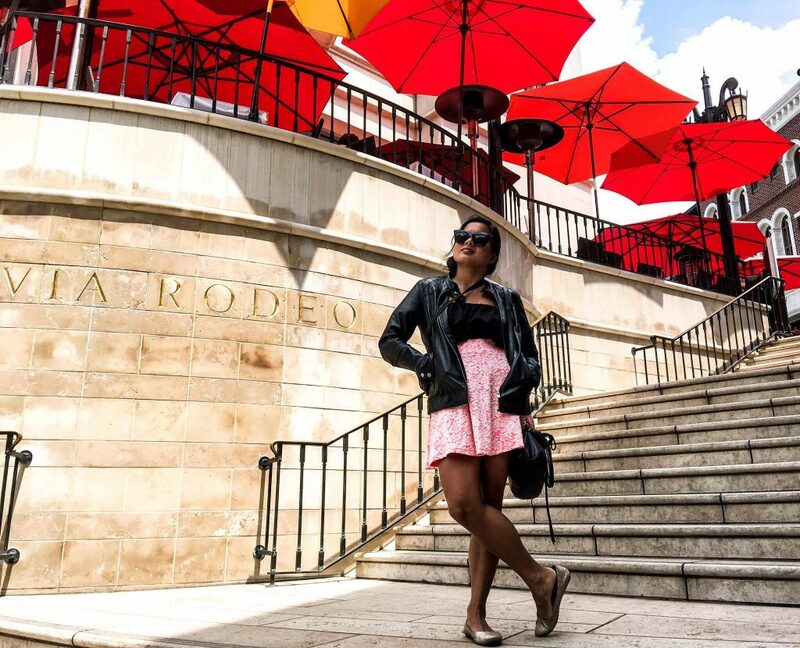 A Day in LA Tour is the perfect way to see Los Angeles if you only have a few days in the city. Despite the notorious traffic, we got to see a lot in a relatively short amount of time! Even though the tour seems pretty compact, we learned a lot. Our guide, Harisson, was totally rocking it. He was super knowledgeable about Los Angeles, and he constantly gave us interesting facts about each place. We drove by a lot of cool places, like movie studios! The tour wasn’t that great for taking pictures, since we mostly drive by places, but it’s worth it to get a fast overview if you don’t have a lot of time. If you enjoy exploring, this tour might seem too rushed for you, but if you only have a few days, it’s great. Besides, when else are you going to see a major American city in a Jamaican bus? 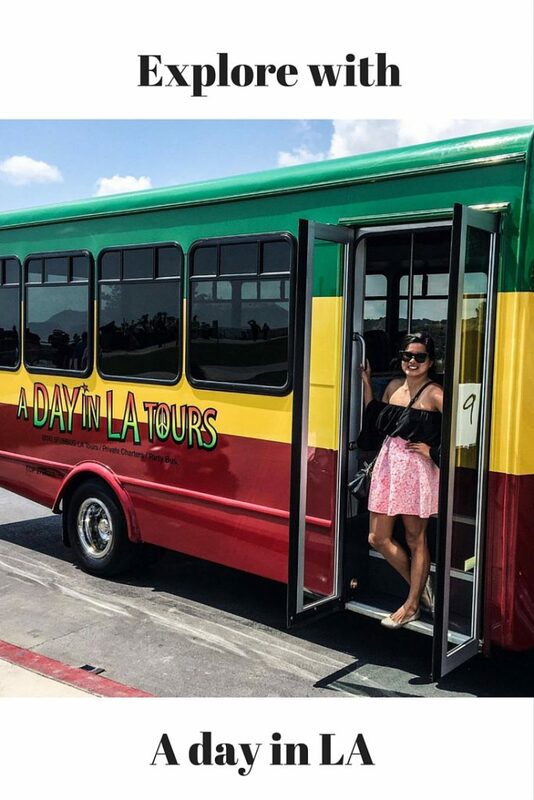 How to book: The tour sells out quickly, so you should book ahead of time on Rasta Bus or the A Day in LA website. Drive to the nearby parking garage. Parking is about $10 for the day. Ride the train! A brand-new train line takes you straight to Santa Monica and drops you off at 4th and Colorado. Then you just have a five to ten minute walk to the visitor center. Get picked up. The tour does free pick-up at a lot of major hotels in the area.
. Venice Beach. This beach is delightful! I loved all the art and murals. Every surface is decorated with color! My favorite was a big mural named Touch of Venice, to honor the beach’s name. Beverly Hills and Rodeo. This is where “Pretty Woman” was shot. How cool walk the streets of a real movie! This area has a deliciously luxurious feel, with lots of upscale shops. Farmers Market. I loved the food selection here! It was hard to choose what to sample—I wanted to try it all. The Grove Mall is near here, and it’s a nice place to walk around. Hollywood. California’s most famous district has definitely been on my must-see list. There are a lot of people dressed up in costumes here, but you have to pay to take a photo with them. Griffith Observatory. 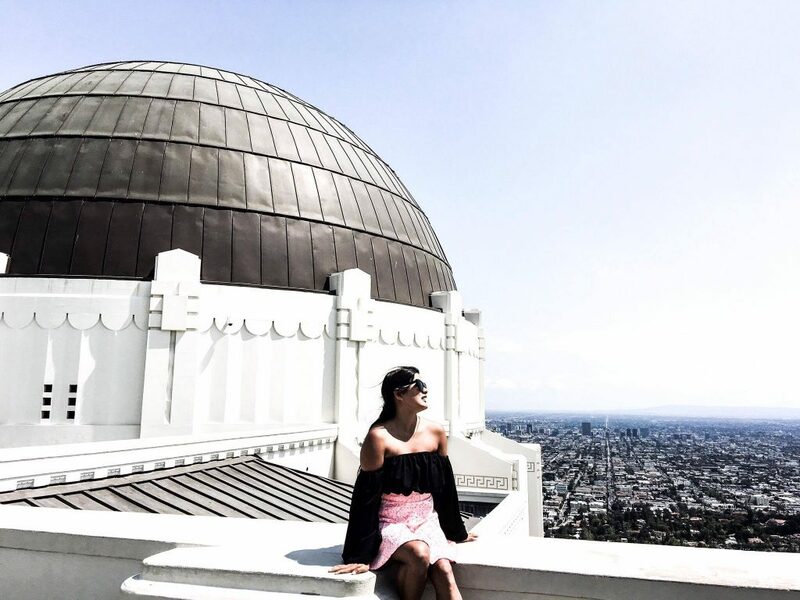 There is a lot to love about Griffith Observatory. First of all, the place itself is really pretty. It gives you a great view of the LA area and the Hollywood sign! Of course, I took a ton of pictures. The museum inside is also really interesting. I learned a bit about the solar system and space. LA looks like a great place to spend the day exploring. I need to plan a trip to LA for the family. 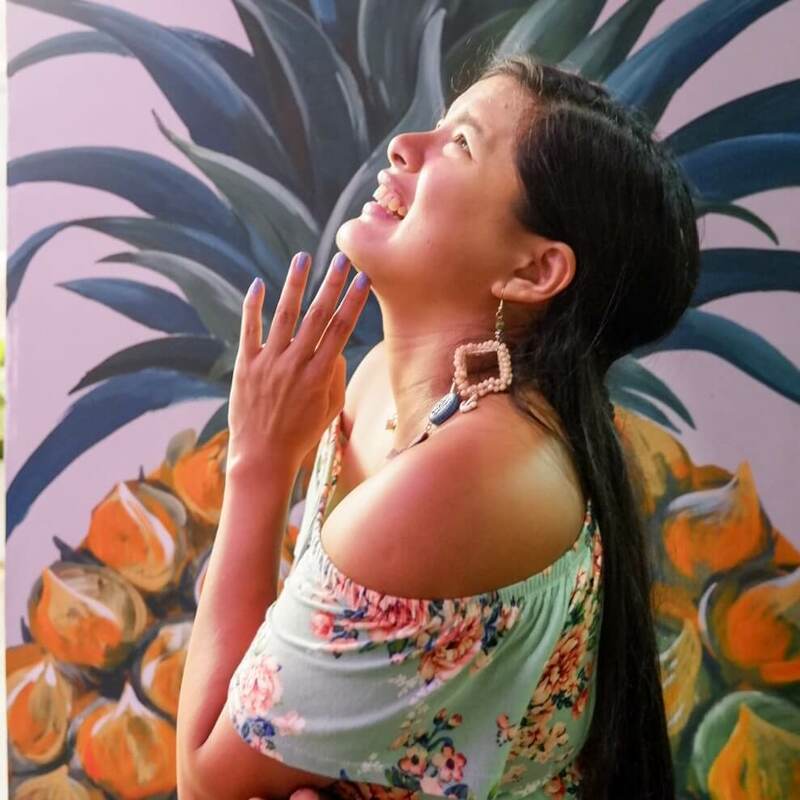 You absolutely had a blast on that Day tour of LA Karla and You just reminded me of the good times I had for 10 amazing days in the City of Angels! Your images speak to me, I need to plan another LA visit woop! LA is so much fun to visit. I haven’t been in years but I would love to go back. I would love to visit L.A. one day. I’ve been to California, but I’ve never had the chance to tour the biggest of all the cities out there. This is something I really hope to do! Would love to check out LA for a day, or two! Looks like a lot of fun. Looks like so much fun! I would love to visit LA. Venice Beach is definitely a unique area! It’s awesome that you were able to explore so much of L.A. on your trip! what a cool way to see the city! Looks like fun! This is the way to make the most out of one day in L.A. I love all of these spots. LA sounds like a very nice place. I heard so many good reviews about it. You look fab on you last photo. What a fun way to take a tour. I’d love to visit LA. This is a great way to see the city. I would love to go on a tour of LA. This is a great way for someone to see the key points in LA. My family really enjoyed visiting Venice Beach on our last trip to LA. It really seems like this tour takes you to some really great LA spots. 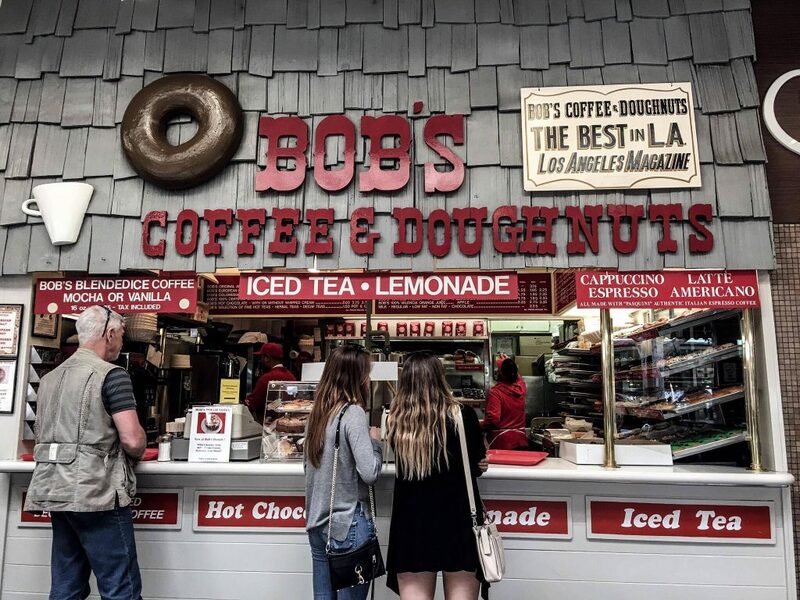 I’ve been to LA many times, but never to the Bob’s Donuts. There’s so much to see in LA; it’s nice to get a sneak peek at all of it on a tour. Looks like you had a blast! So much fun! If I ever get to the West coast it will definitely be someplace I’d like to check out! LA is definitely on my bucket list of places to visit. Especially Venice Beach! I love your photos of all the hot spots! I’ve yet to visit LA, but it’s on my bucket list of things to do! 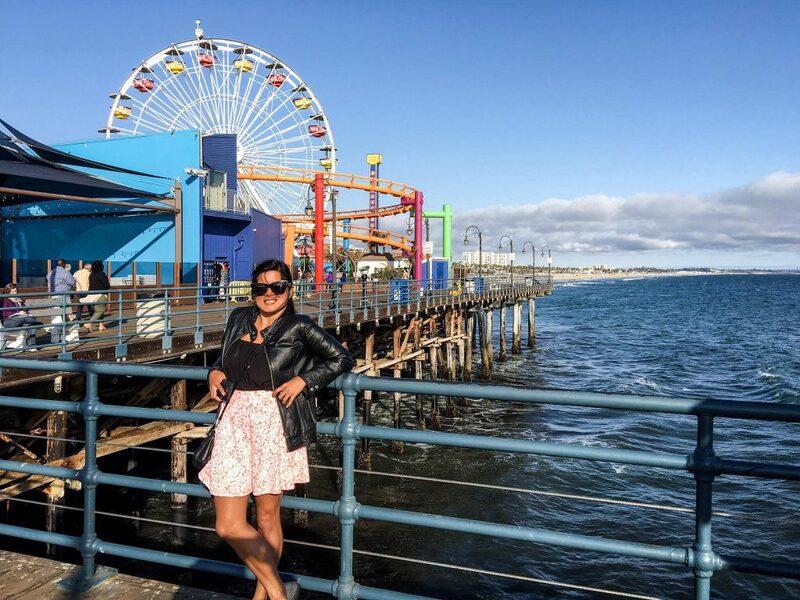 I love your photos…you really got some classic spots like the St Monica Pier! LA is definitely full of attractions and it would be nice to be able to see them through this tour! I think I’ll enjoy the Farmer’s Market the most! This sounds like a super fun tour especially if it’s your first time in LA! L.A. is definitely full of fun things to do. I really want to check out that farmers’ market at some point. If I ever find myself in LA I’ll make sure to never miss this tour! It’s full of places that I would love to see with my family, especially Venice Beach, the Farmer’s Market, and Hollywood! This tour is so worth it! LA definitely a nice place and a lot of view attraction you’ve seen behind that place. I would love to spend more days to visit LA.. This sounds like a great tour! When I go to LA, I’m usually only there for a few days so this would be perfect for someone like me! Your pictures are gorgeous! LA is like, THE prettiest city and with so much to see and do, I can’t believe how much you got done in a day! So awesome! I have always wanted to play tourist and go on one of those tour busses!!! This looks like a ton of fun! Ive always wanted to visit LA, it seems like theres so much to do. Such an amazing LA trip. You really made it something worth remembering. Oh wow what fun you had! I’ve never been to L.A. – I hope to get there one day soon! I want to go to LA one day. I have never been to California so it’s on my bucket list for sure. You did A LOT! This is a service I would want to take advantage of on a trip to LA. Even though I live in Northern Calif I don’t often get to Los Angeles. But need to. I love bus tours of cities like this! It’s the best way to see everything, as far as I’m concerned! what a fun time you had! And great pictures indeed! I think I’d want to do this if I should ever go to LA. It looks like it goes to a couple of spots that are definitely worth a visit. I have always wanted to “do LA” but have never had the chance. I’ve heard of many of these places and would love to see them in person. 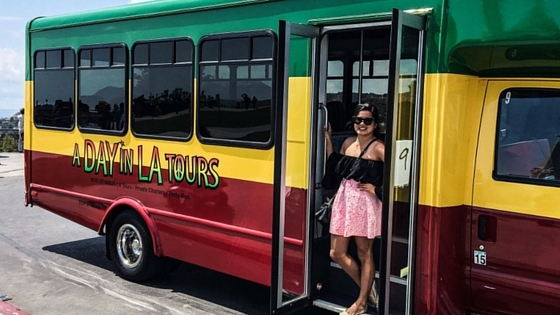 This looks like a lot of fun, I’ve been to LA a ton and have never done a bus tour but it sounds like it would be a lot of fun! Bus tours are so much fun. I did a bus tour of NYC and really enjoyed it. I would love to do one of LA. That sounds like a fun bus tour. I’ve never been to LA, but I would definitely take advantage of this day tour when I get the chance to visit. I love LA so much, is my favorite city. I think there is so much to see. A tour like yours is definitely a good idea. Venice Beach looks like my kinda hangout, especially since I am a huge fan of street and art and they have great murals. I was just in the LA area last week. I have not been to the Griffith Observatory and would love to see that view live. It looks like you had a great time in L.A. I hope to visit there – very soon! The pictures are gorgeous!! I love all of your photos. I have never been to LA but I’ve always wanted to go. It sounds like a very nice and beautiful place to visit too. Never been to the west coast but LA is on the top of my list! I would love to do a bike tour. I have friends from high school who now lives in LA and they keep me posted in and around LA with their post. I would love to tour LA someday. Looks like LA is a place to have that enjoyable walking and window shopping. Love the weather as well. So inviting. Ooooo how fun!!! La is such a fun city to visit! So much to do and never enough time! Looks like you had a fantastic experience. I would love to explore LA someday. Thanks for sharing! Now I wanted to go to LA because of your stunning photos. I want to try their coffee and donuts too! Looks like such a fun place to visit. It is on my bucket list. I am planning to go for a vacation in LA. And it looks like this place is fun to explore. Thanks for sharing your holiday, and I am surely will try these places too. So many sights to see! 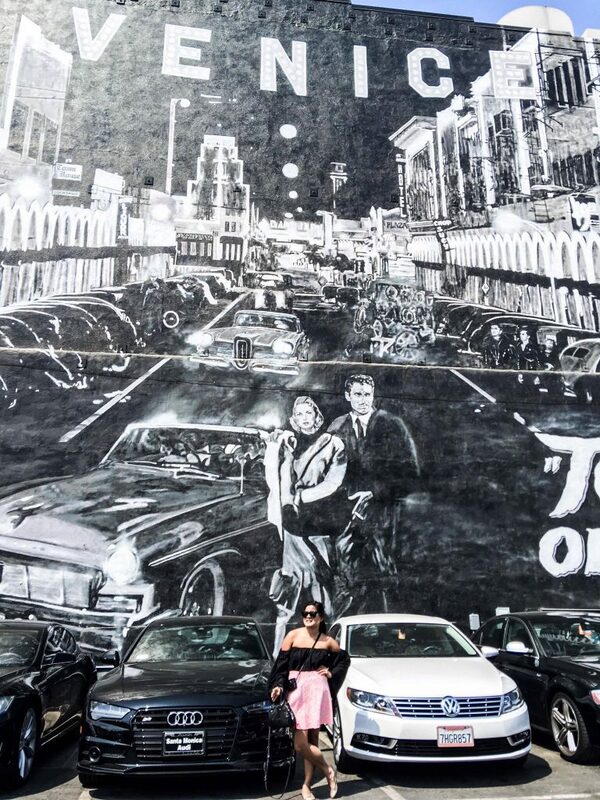 The Venice mural is a beautiful backdrop! Your LA Trip was definitely an enjoyable one. Love all the places and it was as if I have seen them all through you. Thanks.